This wine was a very pleasant surprise. 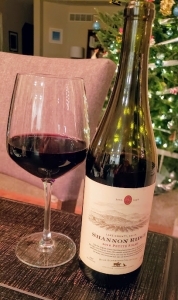 I was at a farmer’s market with my wife and we felt obliged to buy something there, so we picked up a bottle of Shannon Ridge Petite Sirah, not knowing anything about the winery, except that it is 100% sustainably farmed. I like wineries that don’t rely on chemicals and fertilizers to grow their grapes. There the bottle sat in our rack, until last night when we opened it, and suddenly I became a big fan of Shannon Ridge Winery! This wine is from a relatively new AVA in California called Lake County. It’s north of Napa, and before Prohibition was one of the larger wine producing areas in California, but was slower to pick it up again afterward, not really gaining steam until the 1990s. The best vineyards in the area are higher in elevation, surrounding Clear Lake, from which the county gets its name. Clear Lake is California’s largest, and moderates the climate during the summer with warm days, low humidity, and very cool nights – optimum grape ripening conditions! 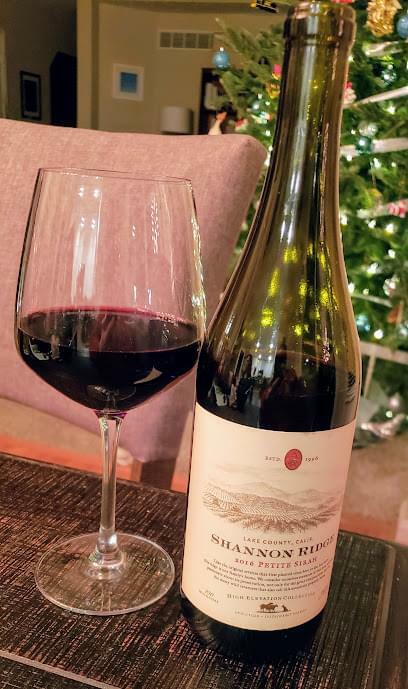 Shannon Ridge grapes are mountain grown, and based on how delicious this Petite Sirah is, I will have to explore what other varietals they produce. This was named one of the Top 100 wines of the year by Wine Enthusiast, rated at 92 points. I have to agree. The 2016 Shannon Ridge Petite Sirah is one of those rare, almost perfectly balanced reds. Loads of dark fruit, but not a fruit bomb. Plenty of depth and spice, but not bitter or coarse – everything just works. You’ll taste blackberry, blueberry, and plum flavors, followed by a peppery mocha finish, with some dark chocolate undertones. This tastes like a big wine, but it’s actually less than 14% alcohol, which I found interesting. My only critique: the flavors started to fade the more air it got, but the bottle won’t last long, so no worries! Best of all: you can find it locally for less than $15, and sometimes as little as $10 a bottle! On my five-cork scale based on taste and value, the 2016 Shannon Ridge Petite Sirah gets four corks. 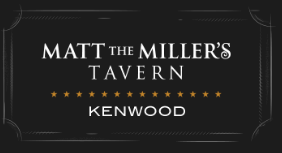 This not only checks a lot of boxes for me in regard to price and taste, it’s also from a family-owned, fully sustainable winery, which makes it an awesome choice.